It’s not what you look at that matters, it’s what you see.” ~ Henry David Thoreau; American essayist, poet, philosopher, abolitionist, naturalist, tax resister, development critic, surveyor, and historian. “A fool thinks himself to be wise, but a wise man knows himself to be a fool.” ~ William Shakespeare. Genius and wisdom is like love and understanding, one is not true without the other, one is not the real essence without the other; that is, genius lies in the deeper understanding of something, and so, the more genius means the deeper the understanding. The greatest genius there is then, is the deeper understanding of yourself and of the wholeness of Nature, because this comprehension which goes beyond time and space is divine wisdom, superb genius above all other. This genius lives deep inside all of us and it can only come out to the surface of our thoughts if the ego is well understood at all times, and also if the difference between what your heart whispers and what your ego shouts at you is well understood by you. The seed is the essence of it all, the ultimate and eternal truth of it all; therefore, genius is embracing, living, experiencing this truth in yourself beyond the intellect/the ego. But this genius, of course, is not the mere creative genius an artist may have, for example, or the genius society praises. For this genius, knowing and living the ultimate truth in yourself, is the genius of Jesus, Buddha, Lao Tzu, and other great men; this genius is the superb wisdom which knows no fear, because it understands and embraces fear, thus when this happens fear turns back to love, and so all is conquered and happiness is constant. 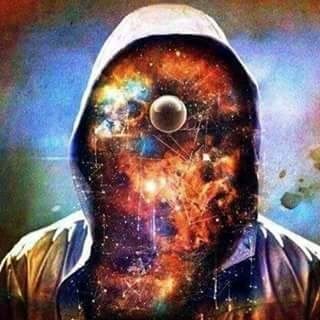 This is the cosmic or conscious essence that we all are and that it flows through Infinite Intelligence, which has no limitations and no source. This genius goes beyond the thoughts and imagination one may come up with when painting a masterpiece or building a great business, this genius is a deeper insight into life because it flows with life, and this genius is not of the mind of man but it lives deep within man. There are no heavenly or hellish forces to battle, for this genius all is natural, all is neutral; however, the only positive or negative, heavenly or hellish exists in the mind of man, his considered mortality, in his deceiving ego, in his lower artistic genius, as great and praised by the world as it is, confined and bound to time and space. If the purpose of life is to discover true and constant happiness, then why not reach deep inside you and bring this genius up to the surface of your thoughts…?? Instead of reading and hearing about Jesus, Buddha, and all these dead men, why not becoming like these great men yourself…?? Wouldn’t that be much better for yourself and your life…? ?